Another light week for new acquisitions, but what it lacks in quantity it more than makes up for in quality. 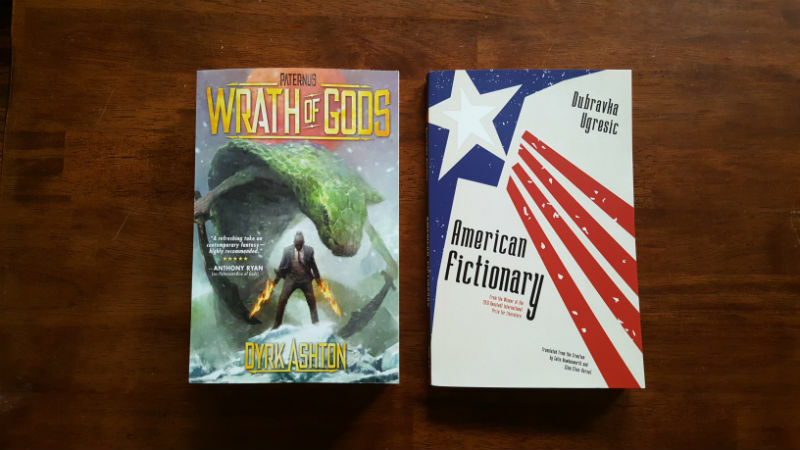 On the left is Paternus: Wrath of Gods by Dyrk Ashton. This is the sequel to the fantastic Paternus: Rise of Gods, which I finished back in the middle of summer. On the right is American Fictionary by Dubravka Ugresic, the most recent delivery from Open Letter Books. I am now well into my third year of subscribing to Open Letter, and my only regret is that my reading time is so limited that I will likely never catch up with the ever-growing stack.